On January 8th we will be publishing the HIGHLY anticipated sequel to Holly Black’s dark and intoxicating The Cruel Prince. The Wicked King picks up where The Cruel Prince leaves off. *SPOILER. Jude has tricked Cardan onto the throne, binding him to her for a year and a day. But the new High King does everything in his power to humiliate and undermine her, even as his fascination with her remains undimmed. To celebrate, we’re offering a very special enamel pin and exclusive bookmark to anyone who pre-orders a copy of the book! Simply e-mail us at marketing@hotkeybooks.com with proof of purchase/receipt and your name and address by 23.59 on 7th January. Terms and Conditions apply! To receive pre-order prize, a copy of proof of purchase must be emailed to marketing@hotkeybooks.com. Only one entry per person. No entrant may win more than one prize. Winners must supply a name, address, and copy of receipt purchase/preorder of The Wicked King. 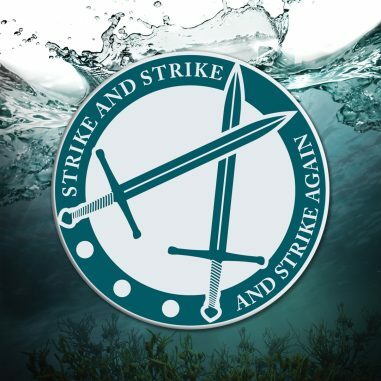 This competition is open to UK and Ireland residents 16+, or with parental permission and with the exception of employees of the Promoter, their families, agents and anyone else connected with this promotion. Entries must be received by 23:59 GMT on 7th January 2019. The Promoter accepts no responsibility for any entries that are incomplete, illegible, corrupted or fail to reach the Promoter by the relevant closing date for any reason. Automatically generated entries or entries via agents or third parties are invalid and shall not be considered. Entries become the property of the Promoter and are not returned. 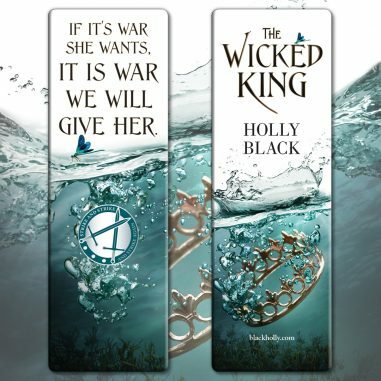 The prize is a Wicked King Bookmark and Enamel Pin. Please allow 4-6 weeks for prize to arrive. Prizes are subject to availability and there is no cash alternative. In the event of unforeseen circumstances, the Promoter reserves the right (a) to substitute alternative prizes of equivalent or greater value and (b) in exceptional circumstances to amend or foreclose the promotion without notice. No correspondence will be entered into. Entries are subject to verification and will be declared invalid if they are illegible, mechanically MV reproduced, mutilated, forged, falsified, altered or tampered with in any way. Entrants agree to abide by the Contest Rules and the decisions of the independent judging panel, which are final. The prize is non-transferable, non-negotiable and non-refundable and the winner may not sell or offer the prize for sale or use it for any further competition, contest or promotion. The winners agree to take part in reasonable post event publicity and to the use of their names and photographs in such publicity or social media. By entering the prize draw each entrant agrees to be bound by these terms and conditions. These terms and conditions are governed in accordance with the laws of England and Wales.